Reason for rehoming: The girls were handed in to rescue as their people had too many animals to care for. Temperament: Friendly and easy to handle. 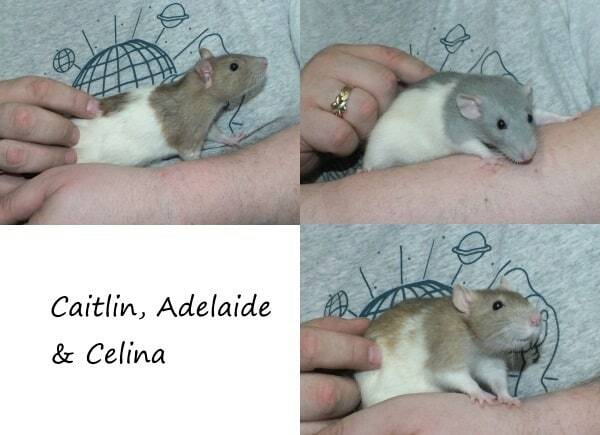 Caitlin and Celina are cheeky and outgoing, Adelaide is sweet and quiet. Other: The girls would ideally like a home with other rats since Adelaide’s personality is quite different. She’d really like a quiet friend to snuggle with while the other two create mischief.